Mobile-Friendly Property Management site, focusing on integrating with property management program & making sure they are SEO friendly. Vermillion SD Rentals also known as Westgate Mobile Homes and Austree Apartments, reached out to Heartland Internet Solutions after hearing another client talk about how much they liked our service! 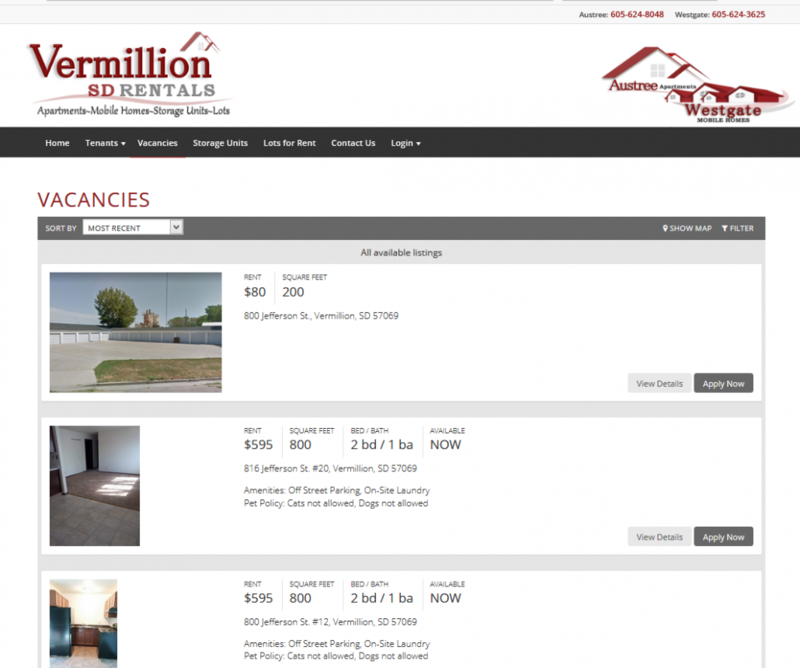 Vermillion SD Rentals needed to integrate with AppFolio, a property management system, make sure their tenants knew they were also Westgate & Austree, plus needed to show that they can take care of their property owners. Thank you Vermillion SD Rentals for trusting Heartland Internet Solutions to take care of your needs!